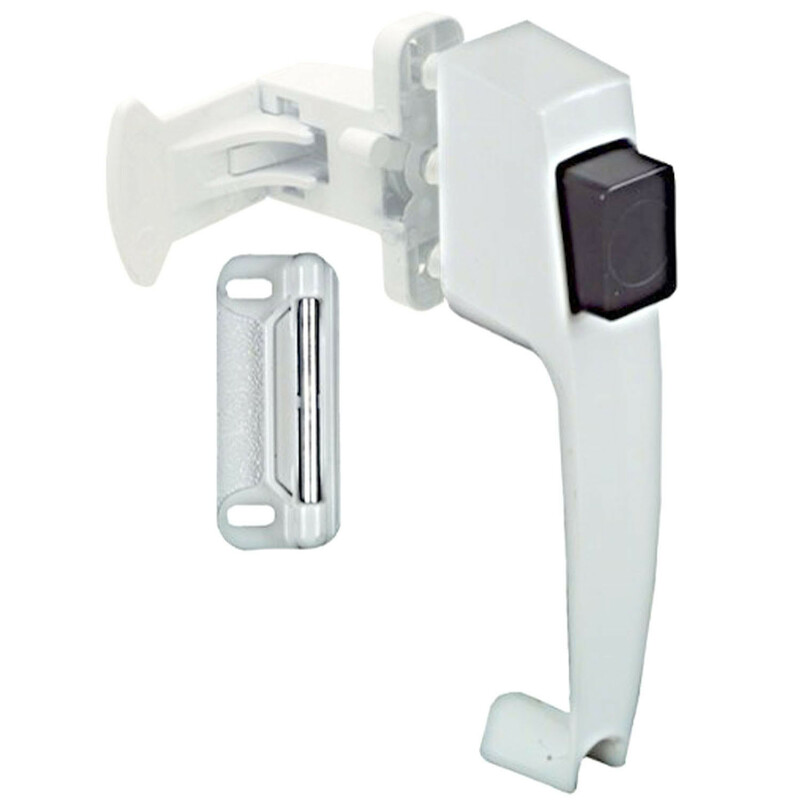 Pushbutton latches die-cast zinc finish=white Designed for wood or metal screen and storm doors 1- 3/4 inches hole spacing. Fits wood doors from 5/8 inches to 2 inches thick. Interior locking mechanism provides for enhanced security. Mounting screws included to match product finish. Includes spring loaded strike plate. Note: for 2 inches thick doors, pan head machine screws 8/32 inches x 2- 3/8 inches are required and must be purchased separately (qty 2). Visual-pack. Designed for wood or metal screen and storm doors 1- 3/4 inches hole spacing. Fits wood doors from 5/8 inches to 2 inches thick. Interior locking mechanism provides for enhanced security. Mounting screws included to match product finish. Includes spring loaded strike plate. Note: for 2 inches thick doors, pan head machine screws 8/32 inches x 2- 3/8 inches are required and must be purchased separately (qty 2). Visual-pack.